If you’re looking for a bulk CBD isolate to incorporate into your product line, now has never been a better time to start offering CBD-related products. Numerous studies over the past 15 years have investigated the efficacy of hemp derivatives in treating chronic pain, and there is now a significant body of evidence showing that various CBD products offer measurable pain reduction and symptom relief for several conditions. When marketing your CBD product line, here are just a few conditions you can discuss with clients to determine if your products are right for them. Epilepsy, a neurological disorder that can cause seizures in people of all ages, affects 3.4 million people nationwide. There are more severe forms of epilepsy that often fail to respond to common anti-seizure medications. CBD has proven helpful in reducing symptoms for these types of illnesses. 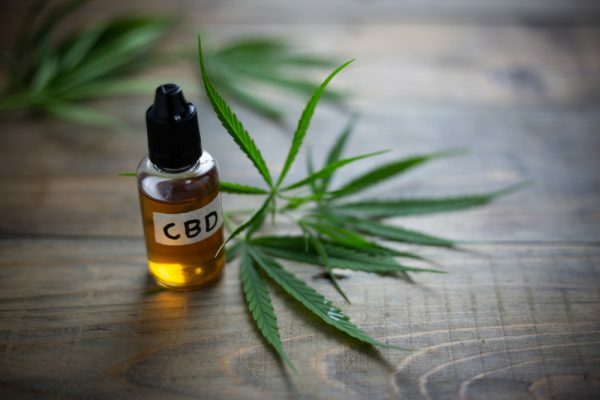 This treatment was discovered by concerned parents who felt their child had no other treatment options available, and there are now scores of anecdotal videos touting the benefits of CBD oil for epileptic conditions. Damage to nerves can occur as a result of cancer or chemotherapy, diabetes, rheumatoid arthritis, and many other conditions (including exposure to toxins and autoimmune disorders). In some cases, this condition can heal over time, and CBD can help reduce inflammation and ease the pain of this condition in various studies. MS is another type of disorder where the body’s immune system attacks its own cells, and it is estimated that over 2.3 million Americans of all ages are affected by this progressive disease. MS has multiple symptoms that can be remedied by CBD oil, including pain, tremors, and tingling sensations, and the latest research on this was recently incorporated in a presentation at an MS Consortium. Both cancer and various treatments for cancer can cause a great deal of chronic, systemic pain, as well as specific nerve pain due to pressure caused by tumors, for example. Inability to sleep or decreased physical activity and quality of life due to this pain are just a few reasons people might turn to CBD oil as part of their treatment regimen. While there are plenty of anecdotal claims about the effectiveness of treating the cancer itself, a significant amount of additional research needs to be completed to qualify these claims. But there is enough promising evidence to warrant further research. Two common types of arthritis are osteoarthritis, which represents wear and tear on joints that occur with age, and rheumatoid arthritis, which is a product of an overreactive immune system that attacks the body itself. While several trials have focused on animals with generally positive results, more research is needed on humans to provide a determination based on clinical results. In addition to the chronic pain associated with fibromyalgia are a host of other problems, such as IBS, migraines, insomnia, and inflammation. This disease is still something of a mystery in terms of causes and potential cures, but having alternatives to opioids to treat these types of diseases is one huge benefit of CBD oil. No matter the cause, chronic pain becomes the gateway for a variety of other conditions. These include depression, lack of restorative sleep, muscle tension, and soreness, and many other issues resulting from the constant experience of pain. Reduction of the pain can mean an improvement in a variety of related symptoms, and the ability to provide this pain reduction without using addictive pharmaceuticals is an important benefit to discuss with your clients.